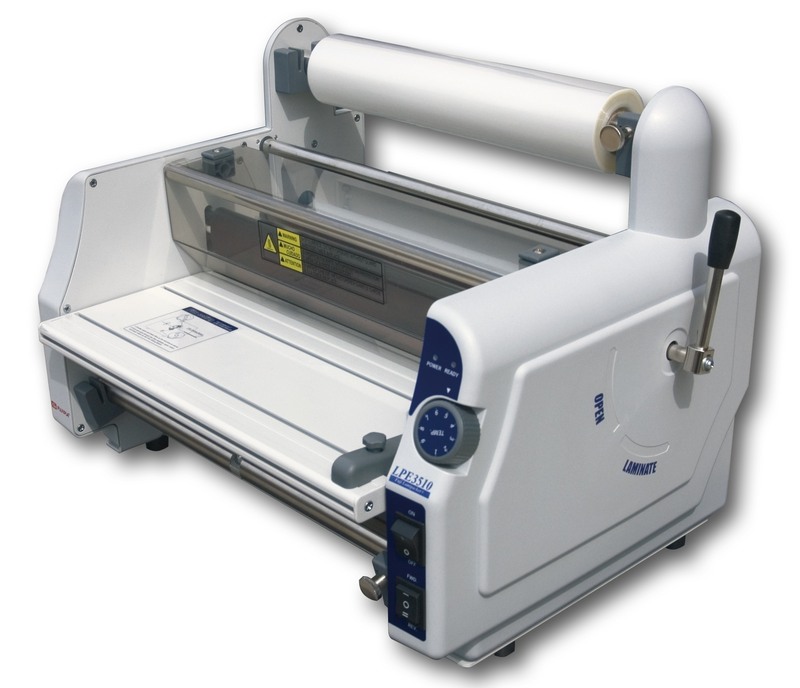 Fujipla laminators have been specifically designed to eliminate the problems and confusion of operation. Parting of the pressure rollers enables the operator to easily thread the laminator, avoid flat spots during extended down time and free the film from the rollers in the event of a wrap-around. Fast warm-up time about 5 to 10 minutes ensures less waiting time. 15.4" x 33.5" x 15.4"